At the end of a massive Avengers crossover, the Nega-Bomb has detonated, destroying most of Hala, the homeworld of the Kree Empire. 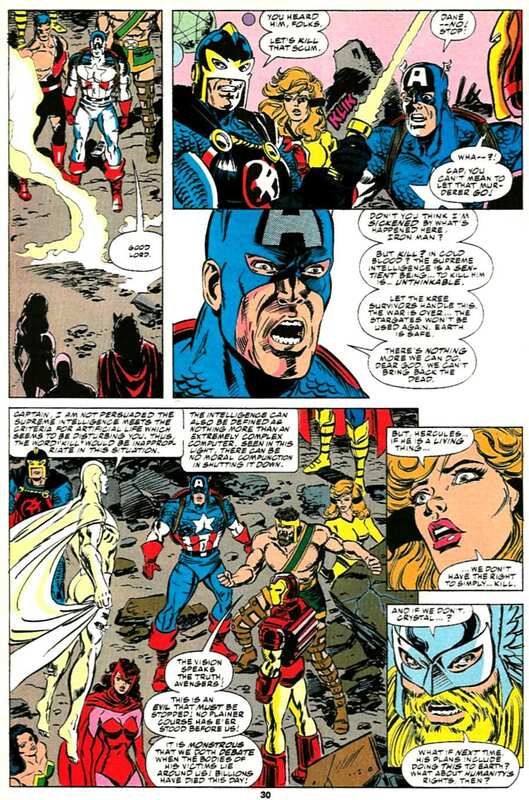 Captain America and Deathbird survived, somehow. They confront the Supreme Intelligence. 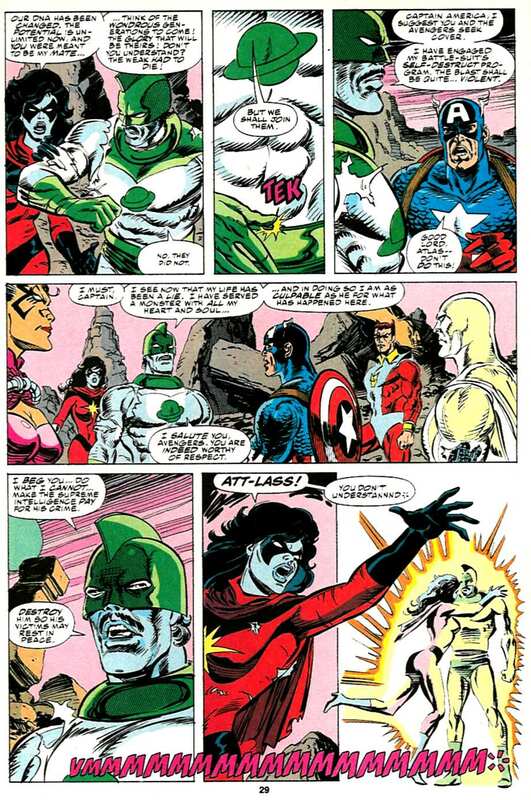 The rest of the Avengers land on the ravaged Hala. They are stunned by all the dead. It should be noted that Goliath here is Clint Barton, not Hank Pym. Does comic book evolution work that way? Really? This being a comic book, they teleported away instead of blowing up. 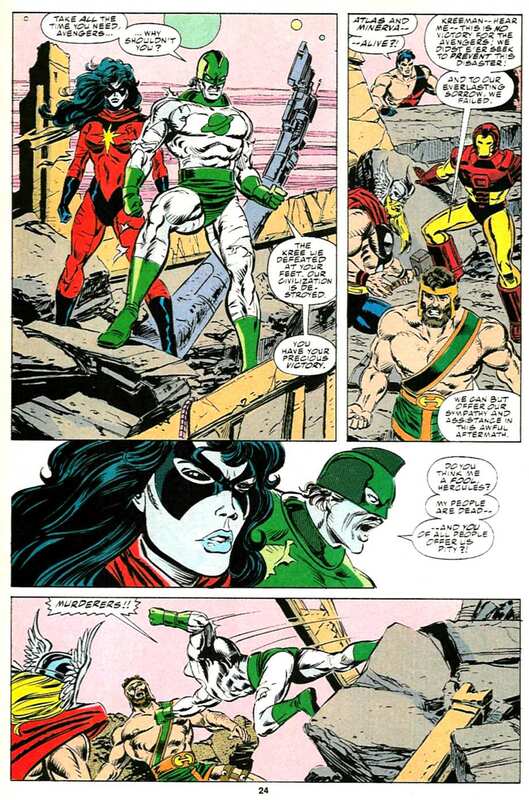 They next appeared in SILVER SURFER #79. 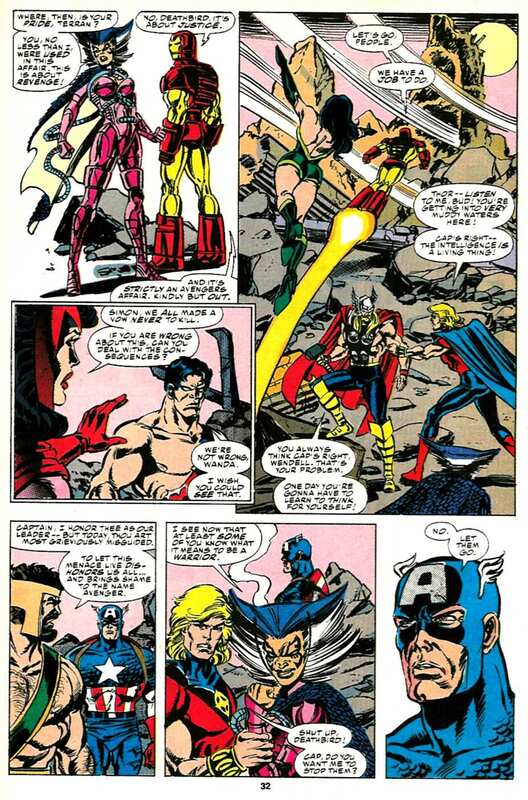 Here are the pages when half the Avengers decide to kill the Supreme Intelligence. 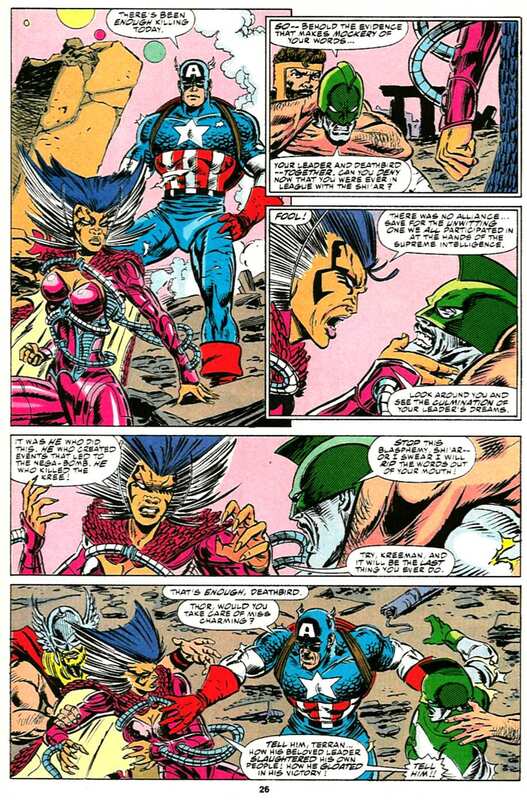 AVENGERS FOREVER revealed Immortus was influencing Iron Man's mind to a degree. 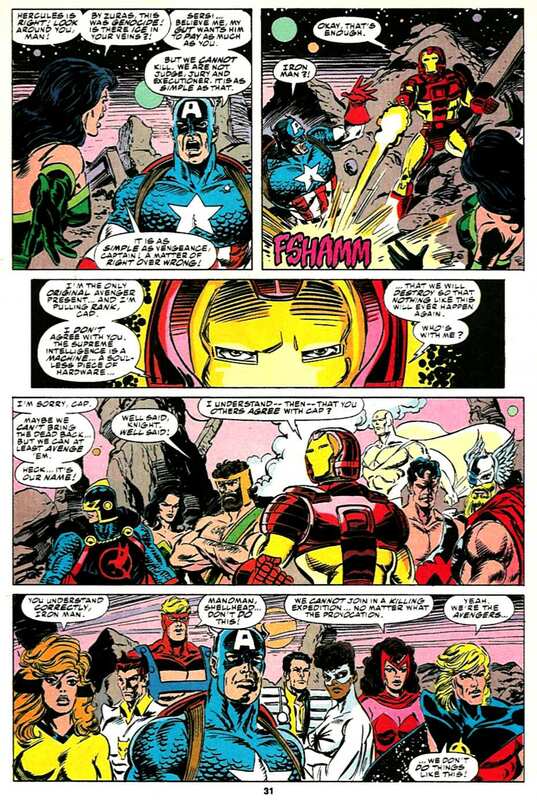 Also the "CIVIL WAR: CASUALTIES OF WAR" one-shot had this as an example of "What Tony wants is more important than anything else." The site supermegamonkey.net explains the split quite well. I think the breakdown on the kill decision makes sense. 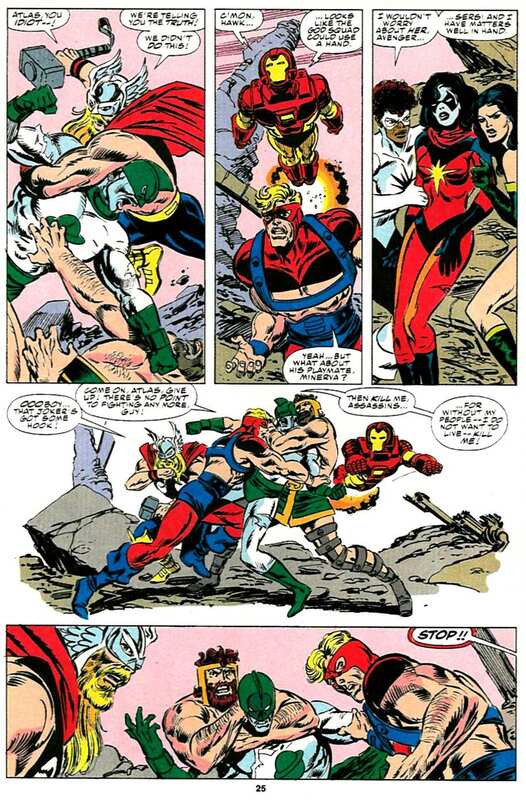 Wonder Man is the biggest question mark in my mind, but he just got through trying to stop the Vision from letting the bomb go off and now he's just angry. 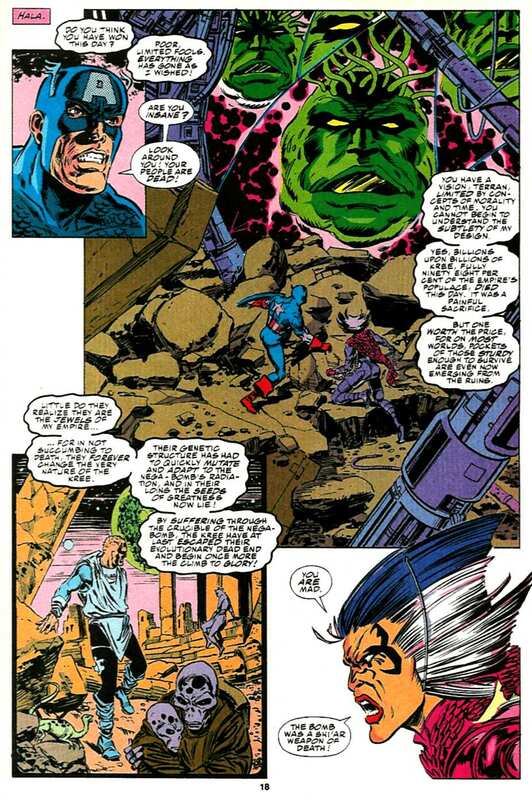 Thor is probably the most complex, but Tom DeFalco did explicitly show that he is more violent than the real Thor AND he's the one that shows the most doubt about all of this; he's relying heavily on the fact that the Supreme Intelligence is an artificial construct, not a real life. None of the characters on the "don't kill" side surprise me. 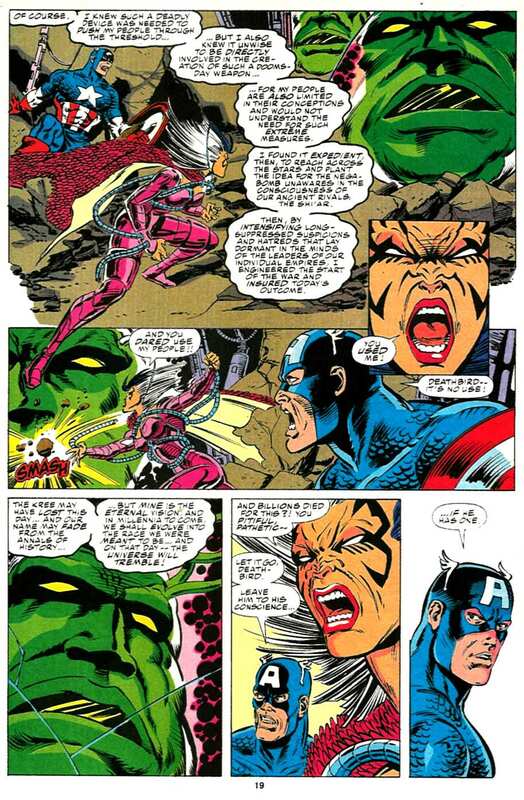 I might have expected Hawkeye to be more vocal or even get physical in trying to stop the others (since he felt very strongly about this when he was leader of the West Coast team), but i kind of like the "manoman" line, as if he's too shellshocked to react. Also, there's a difference between WANTING to kill/deactivate the Supreme Intelligence for his actions and actually DOING it. 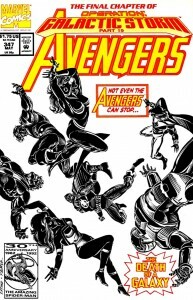 The issue ends with the Supreme Intelligence still "alive," having tricked the Avengers. Actually, the Kree still show up as powerful bad guys. Has that ever been explained? 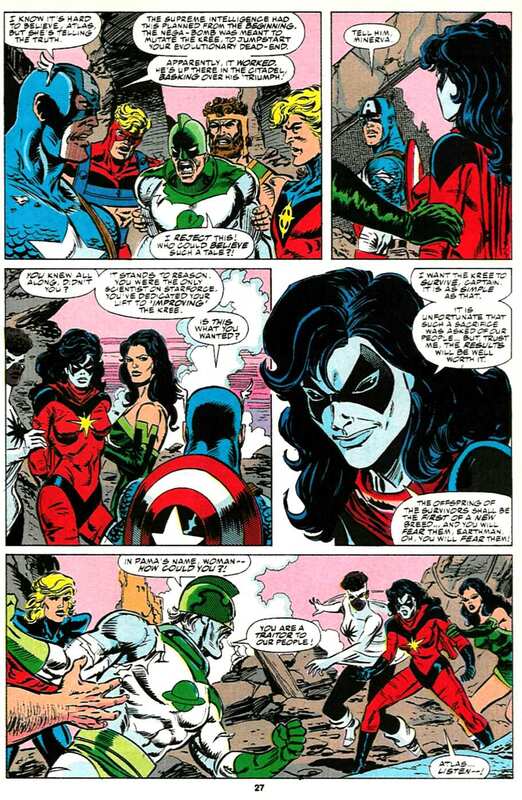 Presumably, Dr. Minerva will appear in MS. MARVEL or CAPTAIN MARVEL before the Brie Larson Captain Marvel movie is released.